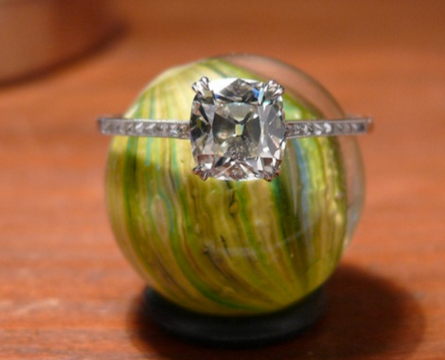 possible to determine the cut parameters that cannot be measured and to select the optimal combination of the parameters to obtain the best perception (luster, brilliance, fire) of the stone. Necessary cut parameters can be obtained by comparison of the real diamond to the computer image. Who needs the Diamond Calculator? Diamond Calculator is designed for diamond graders, jewelers, and sale specialists dealing with diamonds and diamond jewelry, manufacturers, and technologists. Consumers can also benifit from DiamCalc v.2.x by using it’s ability to calculate its weight, proportions, cut grades and quantitative estimation of the cut quality: Light Return, Light Leakage, Fish Eye and Contrast. 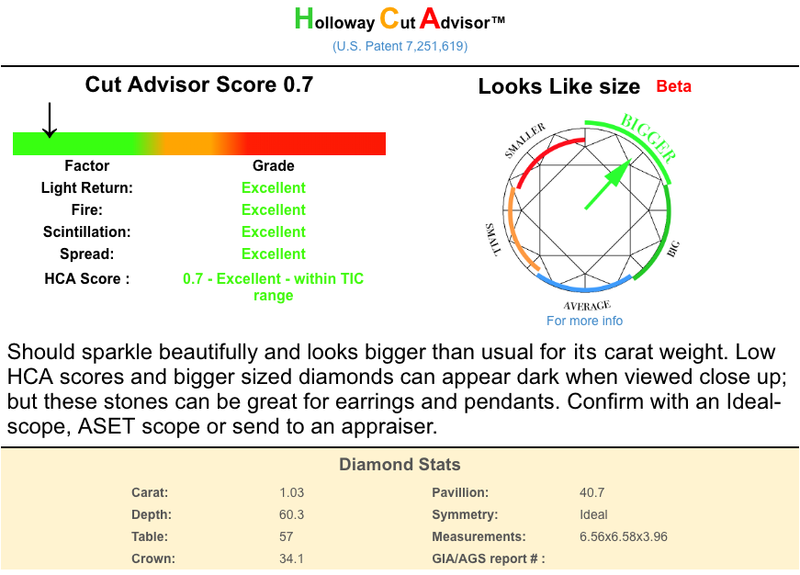 The consumers who are interested in advanced understanding of the diamond cut, can use the software for estimation of the light leakage, Hearts and Arrows effects, etc. The working interface of the program is separated into two: left – the model image of the stone; right – the data and options. As you set or change the cut style, dimensions, and the parameters of the material on the right side, respective changes are promptly displayed on the stone image in the left side of the screen. Quantitative estimation some features of the diamond cut: Light Return, Light Leakage, Fish Eye and Contrast, based on a diamond 3D model. Export to GemAdviser software format. The DiamCalc 2.x have a possibility to save the certain diamond in the GemAdviser .gem format. You can send this file to your customers by e-mail, put on your website or deliver by any other means allowing your customer or partner to open this file with a free GemAdviser software. With the GemAdviser software your customer can get an idea of the diamond appearance (“photo realistic” rendering mode and animated picture with diamond tilting in different directions) and to make a preliminary conclusion about the cut quality. Import of the real diamond 3D models generated with the Sarin machines (Sarin Web Viewer files). This allows you to work with the 3D-model of REAL DIAMONDS. As opposed to the parametrical models based only on the angles and other cut parameters obtained from diamond report, this feature gives you the REAL 3D-model of certain diamond based on the information about EVERY FACET of this diamond. A number of diamonds with attached .srn data is available for RapNet users. Support of the DXF format. DXF Export: this allows you to export any diamond you have in the diamcalc (including all kind imported cut) to AutoDesk drawing exchange format (DXF) supported by many 3D software packages including AutoCad, 3D Studio MAX etc. Working with different types of gemstones. 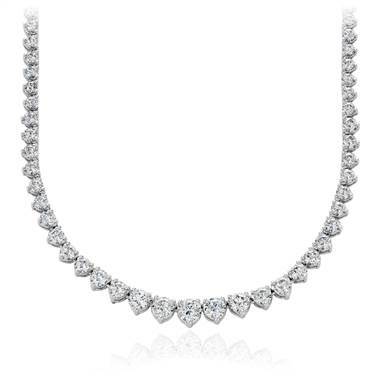 This allow you to work not only with diamonds, but with different gemstone types including colored gems. Advanced options for ray tracing view: multiple rays from eye including scaled view showing an observer, intensity and power display for the partial rays. -“Stereo mode” – three-dimensional image of the diamond that can be seen with a pair of stereo glasses. Price lists. Price calculation based on color, clarity, and fluorescence.